Bib like attachment looks like a vertebrae, collarbones, and ribs! Do you ever just feel gross? Maybe you’d like to run to the store to get this or that, but you just feel too hideous to leave the house. 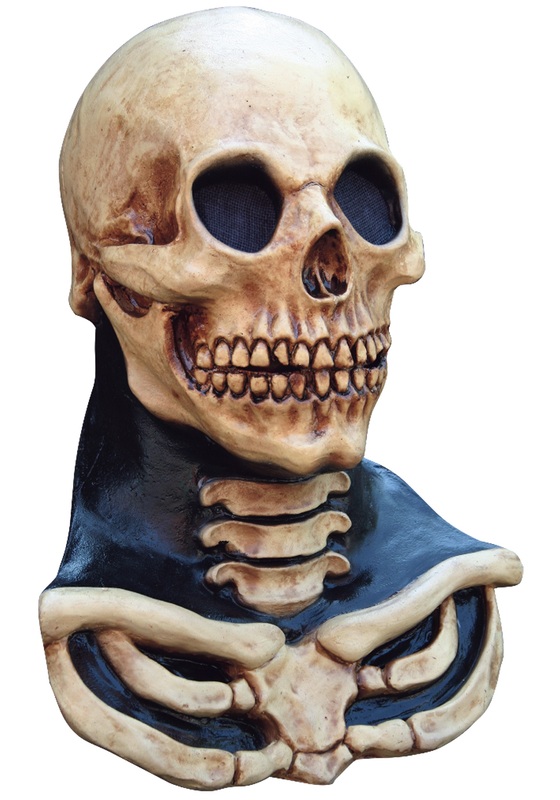 Don’t waste water on a shower––just pop on this Skull Mask and go out on the town. And if someone asks you to take off the Skull Mask before you patronize their establishment, even at your worst you’re sure to look good in comparison to a bare skull! This harbinger of death wants your soul. 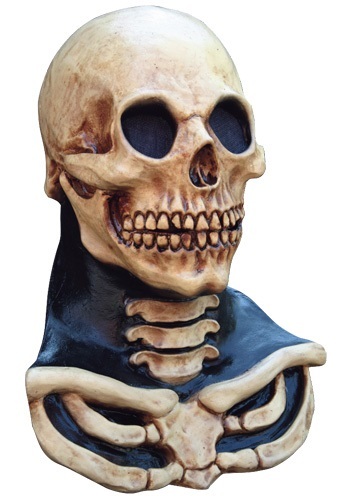 At least that’s what you can tell people when you’re dressed in this long-necked Skull Mask. It’s a horrific way to frighten children and adults alike this Halloween. The possibilities abound with our Skull Mask. Do a Skeletor fashion show! Demo the lord of Snake Mountain in loungewear, business casual, black tie, urban cowboy, and whatever other looks you can come up with. The long neck and collarbone attachment invites you to pair the Skull Mask with an open, 70s-style shirt and a gold medallion. Who needs chest hair when you’ve got ribs showing?